My statues of Artemis and Athena arrived today (as well as the sets I ordered for other folks so that we could get the wholesale price). 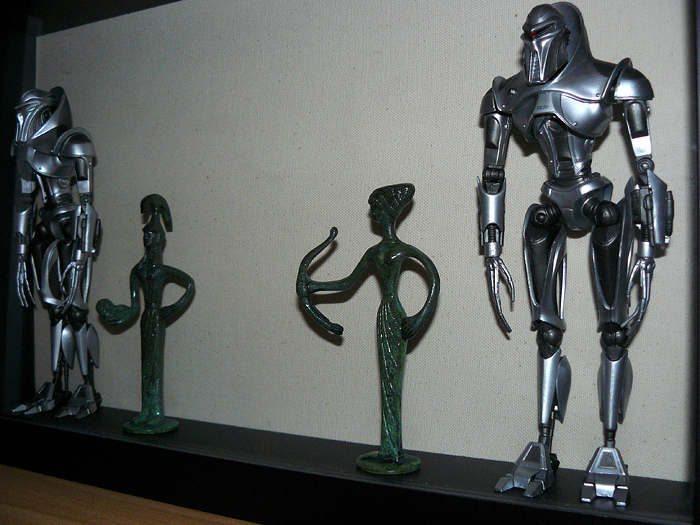 They are posed here with Cylon Centurian action figures from Battlestar Galactica. 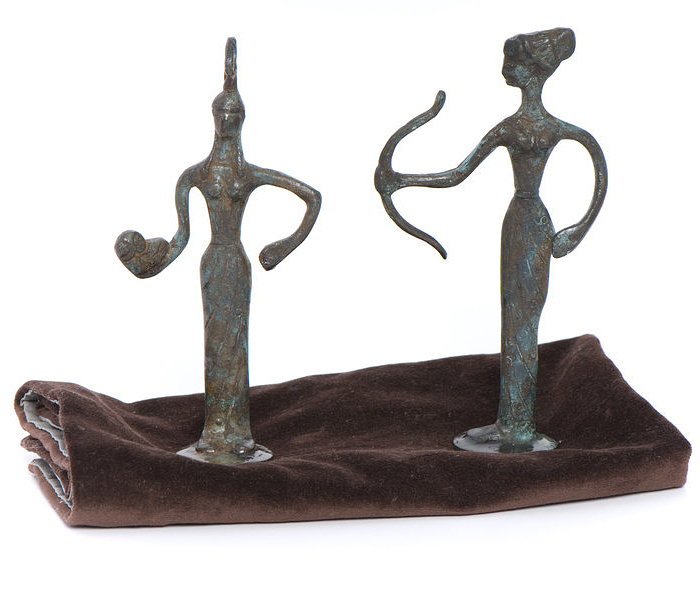 On the show, Kara (and presumably most of the colonials) pray to these exact statues, which were bought from a Greek import place rather than being created especially for the show. The only bit of deception on the show is that they weathered the statues more (so they’d be more brown than green), and, they pretended that the Athena statue was someone else. 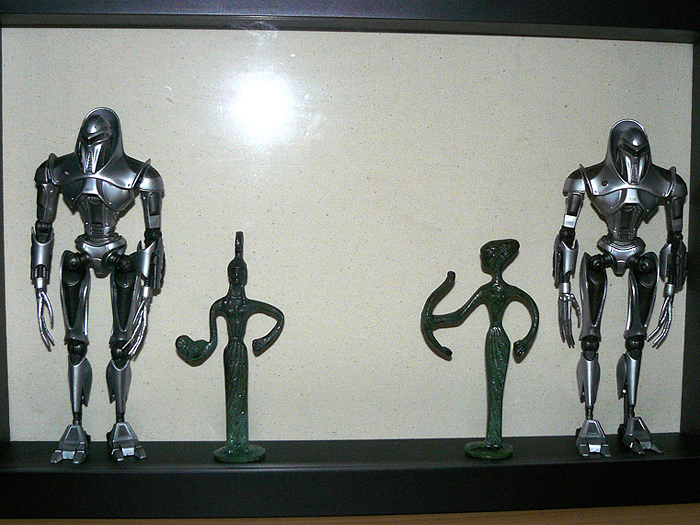 I like the Artemis statue the best (with the bow), but I wanted both for this display. I will eventually put a human action figure in the middle.